According to Zillow, the median home value here was $818,500 in late 2018. There is at least one active adult community in Hingham. 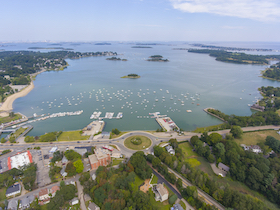 Hingham is known for its colonial history and there are several historical sites here along with parks, a marina and beach, recreational areas, and conservation areas throughout the town. High cost of homes, and winters are long and cold, are the downsides of living here. The average January temperature is 31 degrees, with July's average at 74 degrees. The average annual snowfall is about 43 inches. 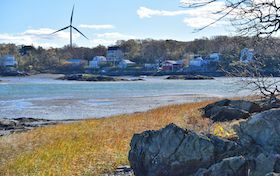 Hingham does offer dining choices, shopping and an interesting history to explore, but for much more on the cultural scene Boston is nearby with everything you could want. The crime rate in Hingham is below the national average. The nearest hospital is in Weymouth about 15 miles away, and all types of health care is available in nearby Boston. The nearest International airport is about 25 miles away in Boston. There is bus service, along with commuter rail and ferry service to Boston.